Global stocks are set for a short-term sell-off on Monday after Islamist militants launched coordinated attacks across Paris that killed 129 people, but few strategists expect a prolonged economic impact or change in prevailing market directions. If anything, any initial damage to economic confidence, tourism and trade within Europe will likely reinforce the European Central Bank&apos;s resolve to ease monetary policy further next month, they reckon. That will keep pressure on the euro exchange rate and support other European asset markets. Gundlach said about a rate hike next month that many economists believe will occur: "Certainly No-Go more likely than most people think. These markets are falling apart." Saying there’s a “10 to 20 percent chance” of a financial collapse in the next few years, Overstock.com’s chief, Patrick Byrne, has stashed away $10 million worth of gold and silver, plus several thousand emergency preparation kits, complete with enough food rations to last his 2,000 employees and their families 30 to 60 days. “We have food and gold, but we don’t walk around with guns or something. We’re not preppers,” Byrne told The Post. “If there’s a financial-system meltdown, if the Internet shuts down and credit cards shut down, we can pay people.” Byrne said the survival stash is tucked away in some of Utah’s legendary storage bunkers like those built into Granite Mountain, which he claims are so secure they could withstand a nuclear attack. He sat in a Denny’s restaurant, drinking coffee between cigarette breaks after a long and sleepless night, answering question after question. He knew none of it made sense: He was a successful and well-traveled professional, with close to seven figures in the bank, and plans for much more. And then he gave it all away, more than $718,000, in chunks at a time, to two Manhattan psychics. They vowed to reunite him with the woman he loved. Even after it was discovered that she was dead. There was the 80-mile bridge made of gold, the reincarnation portal. “I just got sucked in,” the man, Niall Rice, said in a telephone interview last week from Los Angeles. “That’s what people don’t understand. ‘How can you fall for it?’ ” There was even, between payments to one of the psychics for a time machine to cleanse the past, a brief romance. “It’s embarrassing now,” he said. Former President Bill Clinton insisted Sunday that his wife doesn’t deserve to be attacked by her fellow Democratic candidates for her relationship with Wall Street as opponents on both sides of the aisle jump to attack her defense those ties. "It is a stretch. Those of us who were there know that,” he told reporters gathered on the rope line after Hillary Clinton spoke Sunday at the Central Iowa Democrats Fall Barbecue on the campus of Iowa State University in Ames. Weyhill & Wharf is updating a male clothing staple with its Preparatory Oxford shirt — the prevailing style of button-down collars found on men&apos;s shirts. In the process, the retail start-up is targeting the same market occupied by preppy menswear powerhouses like Brooks Brothers, Ralph Lauren and Vineyard Vines...It all started in June, when CEO Alexander Popowich initiated a Kickstarter campaign with a $10,000 goal. A month after launching the crowdfunding campaign, Weyhill & Wharf surpassed its initial benchmark, with more than $15,500 raised and 94 backers. Weyhill&apos;s take on the classic shirt combines silk necktie designs with cotton shirts, and sells for $140 per item. The price is steeper than those found at high-end Brooks Brothers, but that hasn&apos;t been a barrier for sales: Weyhill&apos;s entire shirt inventory is now sold out until new products land later this month. West was dining Friday at a Denny’s in Oak Lawn, a Chicago suburb, when a server explained that the unlimited pancake offer was good for a single diner. This did not sit well with West, who was apparently was under the impression that her $4 bought everyone at the table and unending pancake bounty. According to the Oak Lawn Police Department, West cursed at the waitress and threw several punches at the employee (though the blows did not land). West and her party then left Denny’s without paying their tab, but not before she repeatedly kicked a door on the way out. Europe Plans Girds Greece Exit (WSJ) Emerging from Wednesday night's informal European Union summit, Italian Prime Minister Mario Monti said most leaders had backed issuing common debt, or euro-zone bonds, to help support troubled members. But Germany and others opposed them and demanded Greece do more. "We want Greece to remain in the euro zone," German Chancellor Angela Merkel told reporters after nearly eight hours of talks. "But the precondition is that Greece upholds the commitments it has made." Citi: Greek To Exit Euro, New Currency To Fall 60% (CNBC) Greece will leave the euro zone next year and the country's new currency will "immediately fall by 60 percent," according to Citi chief economist Willem Buiter. "The elections (on June 17th) will not produce a viable government that can follow the troika plan, leading to a stalemate between the Greek government and official creditors, and to the suspension of EFSF-IMF funding,” Buiter wrote in Citi's latest Global Economic Outlook. Slim Family Sees European Crisis As Good Time To Invest (Bloomberg) Carlos Slim sees Europe’s debt crisis as a “good moment” to apply his strategy of investing in times of turmoil, said the billionaire’s son, America Movil SAB Co-Chairman Carlos Slim Domit. America Movil, controlled by the elder Slim, announced a $3.4 billion bid to increase its stake in former Dutch phone monopoly Royal KPN NV earlier this month. While the acquisition would be Slim’s first major European foray, it follows a longstanding pattern, his son said. America Movil tries to stay as efficient and financially sound as possible so that it can quickly capitalize on fresh opportunities, he said. “When hard times come, you can look at opportunities in a very agile way,” Slim Domit, 45, said in an interview this week in Mexico City. “Europe is in a good moment.” After Facebook Fiasco, NYSE-Nasdaq Rivalry Heats Up (WSJ) "In the short term, if I'm deciding which platform to go with, I'd think twice at this point" before choosing Nasdaq, said Sang Lee, managing partner with Aite Group, a consultancy that researches exchanges. Investors Leery Of Paulson's Big Gold Bet (NYP) Investors are upset over Paulson’s huge gold positions — specifically, his outsize holding of AngloGold Ashanti, down 20 percent this year. That has dragged down two of Paulson’s funds. 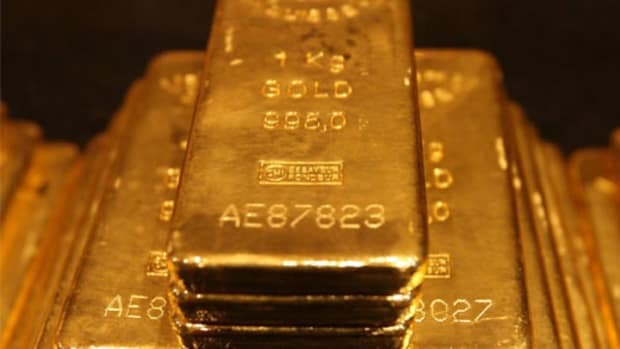 “I would be happier if he cut the gold position in half,” says one investor who put in a notice to take his money out of the fund in June. “He would have been up 4 percent in the first quarter if it weren’t for the goddamned gold.” Auction Of Ronald Reagan's Blood Stirs Debate (WSJ) Since his death in 2004 at age 93, President Ronald Reagan's popularity has only increased. Republican candidates invoke his name and policies. About 400,000 visitors a year flock to his hilltop museum outside Los Angeles, where a gift shop sells biographies, photos and his favorite jelly beans. Many people, it seems, want a piece of Mr. Reagan. But now, the sale of a very personal effect of the late president is stirring a controversy. Bidding for a vial purported to hold Mr. Reagan's blood topped $14,000 Wednesday in an online auction scheduled to end Thursday—if the Ronald Reagan Presidential Foundation doesn't try to block the sale first. PFC Auctions, based in the British Channel Islands, is offering the vial, said to have been obtained from a Maryland laboratory after the failed assassination attempt on Mr. Reagan in 1981. The sample was sent to the lab to test Mr. Reagan's blood for lead. A lab employee kept the vial as a memento and later passed it on to her adult child, according to the auction site. The head of the Reagan Foundation, a nonprofit group, called the sale "a craven act" and is fighting to stop it. It is uncertain what claims, if any, the foundation may have on the vial, which appears to contain dried blood residue, as depicted in a picture on the auction site...The seller, an admirer of Mr. Reagan's free-market policies, said in comments on the auction page, "I was a real fan of Reaganomics and felt that Pres. Reagan himself would rather see me sell it rather than donating it." Morgan Stanley, Others Make Profit of $100 Million Stabilizing Facebook (WSJ) These gains are expected to be offset somewhat by losses associated with reimbursing clients who lost money because of technology snafus at the Nasdaq Stock Market in Facebook's first day of trading, one of these people added. The Next Treasury Secretary (NYT) On the Democratic side, possibilities include Laurence D. Fink of BlackRock, the asset manager; Erskine Bowles, who served on President Obama’s National Commission on Fiscal Responsibility and Reform; Daniel K. Tarullo, a member of the Federal Reserve Board; and Roger C. Altman, the investment banker. For the Republicans, the front-runners include Robert B. Zoellick, the head of the World Bank; John B. Taylor, the Stanford economist; Glenn Hubbard, the head of Columbia Business School and a Mitt Romney adviser; and Kevin Warsh, a former member of the Federal Reserve Board. Spain To Recapitalize Bankia (WSJ) The Spanish government will provide about €9 billion ($11.4 billion) to cover Bankia SA's provisioning needs, Finance Minister Luis de Guindos said Wednesday, in the latest sign that Spain's economic deterioration is forcing authorities to inject more public funds to bail out ailing banks. Since Bankia won't be able to meet provisioning and capital needs, Spain's Fund for Orderly Bank Restructuring will be ready to inject capital into Bankia's unlisted parent company, Banco Financiero & de Ahorros SA, which holds the company's most toxic real-estate assets, Mr. de Guindos told legislators in Parliament. Indian State OKs Shooting Tiger Poachers On Sight (AP) A state in western India has declared war on animal poaching by allowing forest guards to shoot hunters on sight in an effort to curb rampant attacks on tigers and other wildlife. The government in Maharashtra says injuring or killing suspected poachers will no longer be considered a crime. Forest guards should not be "booked for human rights violations when they have taken action against poachers," Maharashtra Forest Minister Patangrao Kadam said Tuesday. The state also will send more rangers and jeeps into the forest, and will offer secret payments to informers who give tips about poachers and animal smugglers, he said.